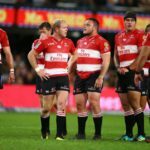 The Lions finished second in the overall standings and the Sharks advanced to the playoffs on the back of two favourable results in Australasia, writes JON CARDINELLI. 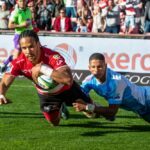 The Lions remain at the top of the South African standings following the Bulls’ big win over the Jaguares. The Sharks’ playoff hopes, however, are hanging by a thread, writes JON CARDINELLI. 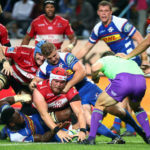 The Lions suffered a bad loss to the Sharks while the Bulls and Stormers sustained record defeats abroad in round 17, writes JON CARDINELLI. 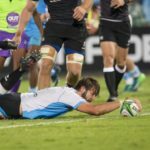 The Lions will head into the June break six points ahead of the second-placed Jaguares in the South African conference standings, writes JON CARDINELLI. 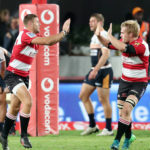 The Lions got their campaign back on track with a win over the Brumbies while the Stormers’ playoff chances took a big hit after a historic loss to the Sunwolves, writes JON CARDINELLI. 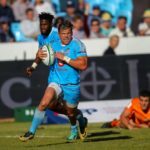 The Bulls claimed a massive win while the Stormers and Sharks suffered significant setbacks in round 13, writes JON CARDINELLI.